If you have been reading the blog lately, you will have seen my post on the development of the Rifle Skills and Combat Team Tactics Classes (‘Adjustments to the Rifle Skills / Combat Team Tactics Lineup‘). 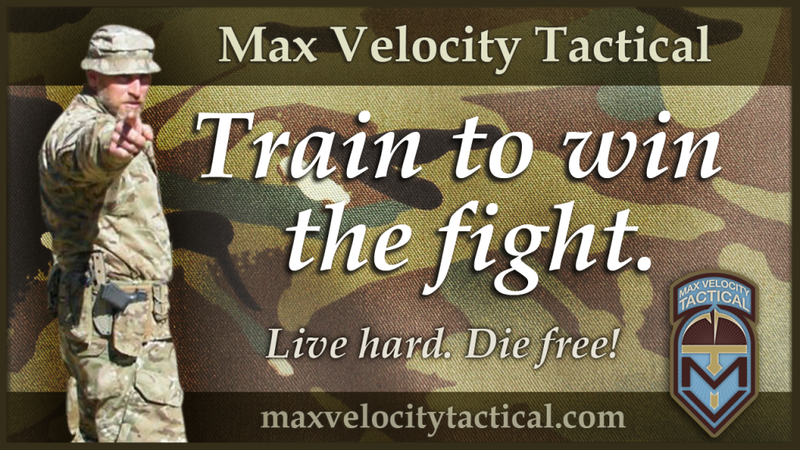 We have also scheduled a number of the Combat Rifle Skills classes for those who want a shallower learning curve. We have moved zeroing entirely to the optional Rifle Skills day prior to Combat Team Tactics. This has freed up training time on the Friday of CTT. We have made some adjustments to that square range day to introduce some of the visual concepts early, so that they are not first encountered on the Saturday morning, as part of the introduction to fire and movement. This is done in a somewhat ‘monkey see, monkey do’ format on the square range, to put visuals of safe distances, angles, spacing and such into the mind of the student, so that when they are taken through explanations and rehearsal on the tactical ranges the following day, they have a better reference point. This is working very well so far. We had limited time this past class for this pre-concept training, because we still had to do some check zero, but for future classes the absence of zeroing has been made clear (unless you show up for RS) and we will have more time available. If you haven’t been paying attention, the CTT class has been dropped from $600 to $500 (3 days), and RS from $200 to $100 (1 day), to allow students to complete the full 4 days of training for the same price as the previous 3 day CTT class. Don’t tell me I never give you incentives to train! Max’s comments are right on. Background: oldster who has been to way too many square range classes. I don’t expect the internet commandos to understand Max’s post (one needs to attend MVT and the smart asses can’t be bothered), and I wonder sometimes at the apparent futility of trying to train the masses. But when you grasp that we are not trying to train the masses, but rather to select those who can be trained from the masses, you are on the way. Max, as I read this post, it all so so intuitive that I am thinking “who doesn’t get this?” Then I realize that this is OBVIOUSLY a problem or it wouldn’t be brought up. I can remember that my own caution had me seeking my teammates through peripheral vision ALL THE TIME! More like playing basketball where you needed to KNOW where everyone was on the court. I am also reminded of my failure to turn my head and SHOUT at my buddy a few times. My initial response (when he didn’t move) was to say ‘I said move’ and you (with emphasis!) told me it was MY RESPONSIBILITY to make sure he heard me communicate, rather than his responsibility to hear. I confess that was a ‘duh’ moment for me, wondering how I missed that point! I hope to make the long trek back to WV this year with at least another person or two in tow. It has been far too long. Max, thank you for all that you do, and the CHARACTER with which you do it. I am still deeply in your debt and have tremendous respect for both the person and the work.